Hello Friends, I hope your week has gotten off a good start. 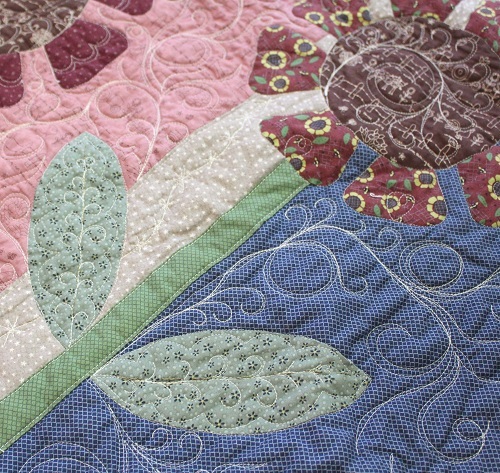 Thank you ALL for sharing about the challenges you face in domestic machine quilting in my Learn to Machine Quilt giveaway post. I truly am appreciative of you for doing that. Due to the high volume of comments, I am not able to respond to most of your comments personally unless you have unique concerns. I have tried to write you personally if you have expressed unique concerns. I am going to share a few thoughts (hopefully encouraging and assuring to you) to address the concerns shared by many. 1. 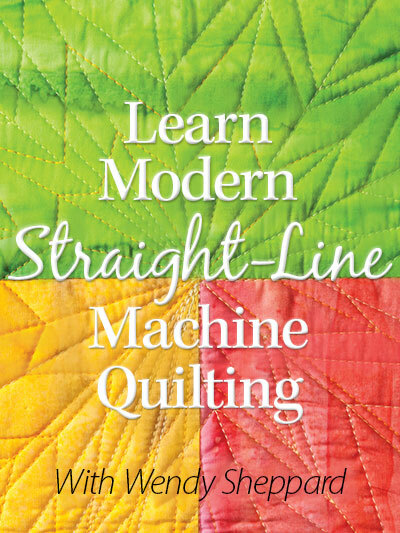 I have never tried machine quilting. I have put off quilting my own quilts. Yes, trying something new can be scary and very deterring! I know. 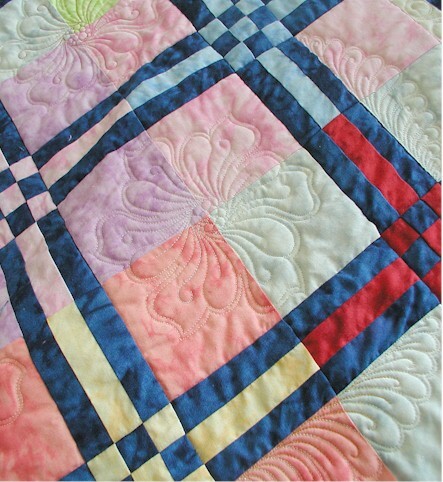 However, my experience in machine quilting is such that once one gets over the learning curve, it will be easier. But one needs to be determined to get over that initial hump. 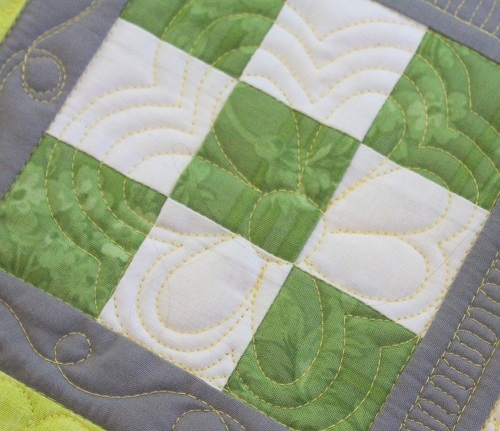 My Learn to Machine Quilt class is designed to help jump-start quilters on quilting on their domestic machines. I always start my students with echoing. I believe if one is able to echoing echoes that are somewhat equally apart, one has gotten a good feel of moving one’s quilt sandwich. And many subsequent motifs and techniques are actually extension of echoing, in fancier renditions. 2. I struggle with jerky and large stitches. Curves are angular rather than curvy. I think… I suspect… the reason some struggle with large, jerky stitches is because they might be moving their quilt sandwiches too much spatially speaking while stitching. I found that one does not have to move my quilt sandwich a lot while stitching – if my foot pedal is pressed down, a teeny amount of movement WILL result in my needle taking a stitch. SO, I would suggest moving your quilt sandwich just ever so little (and slowly) to see if your stitches improve. Hopefully, by slowing down and moving small will help you get into a nice rhythm of enjoyable stitching and beautiful stitches! I have small hands. The way I move my quilt sandwich is I would use my lay my left hand on the quilt sandwich (like a webbed feet) to keep the quilt area taut, and use my right thumb and first finger to slightly pick up the other side of the quilt. I find that I am able to move my quilt with small movements that way. But I also realize different people find different ways that work for them. So, I am just throwing this out there as food for thought! As for smooth curves, I think the sample principle applies. Don’t move your quilt sandwich and force the needle to take too big a “bite”. 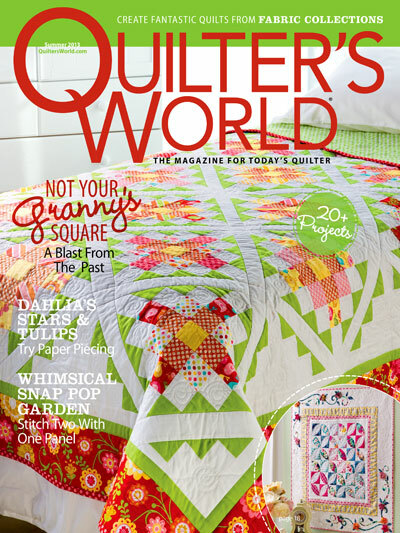 You might try that and see if moving your quilt sandwich in small spatial amount helps. 3. How to handle large quilts? 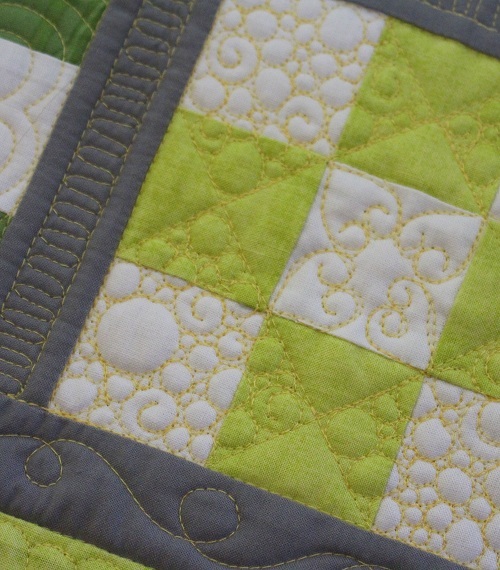 Wendy’s 2 cents: My Learn to Machine Quilt class does NOT cover how to handle large quilts because it is meant to be a primer class to get quilters to learn the basics of machine quilting. The class sample finishes at 24″ square. 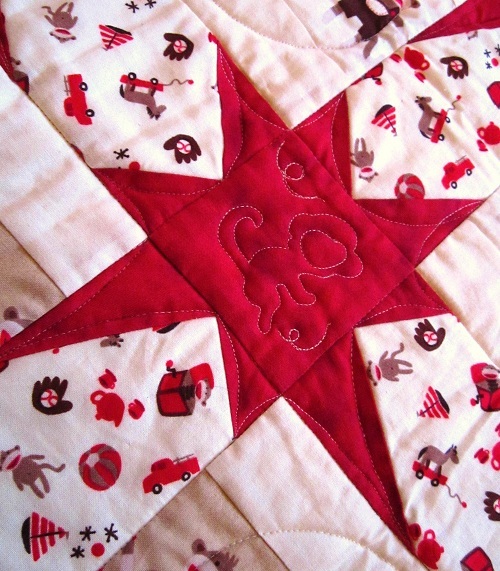 In my experience, I can comfortably quilt quilts on my domestic machine up to about 80″ square. I have done one that is over 90″ square, and that was pushing it. 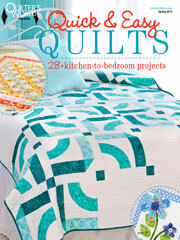 All that said, I think it is definitely do-able if you are quilting a large throw or even a twin quilt. 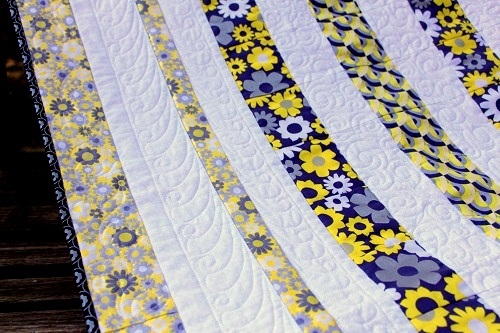 To handle large quilts, my suggestion is to make sure you have a large surface that is flushed with your sewing surface. 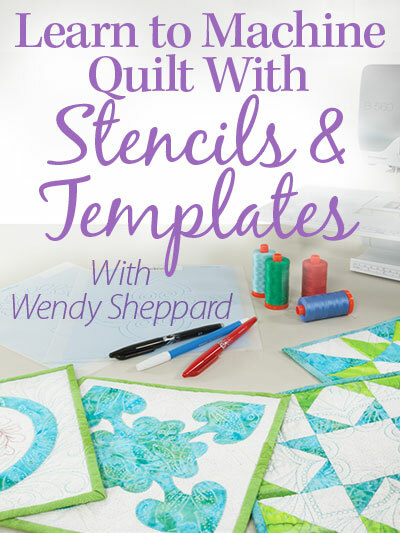 That way, you can keep all your quilt ON the surface instead of having it drape and drag below your sewing table. Having an L-shape sewing surface helps too. It is important to keep the weight of the quilt ON the quilting surface and not below. Then, you just need to fan out for yourself an area about 8″ x 8″ around your needle area so that you can quilt nicely without any puckers. The other thing I would suggest is to use light batting (silk is great!) to reduce the overall weight of the quilt. It makes me a difference for me when I am trying to move my quilts sandwiched with silk batting instead of the heavier cotton. Click here for my Thread Talk post on silk batting. 4. I have difficulty deciding what to quilt. 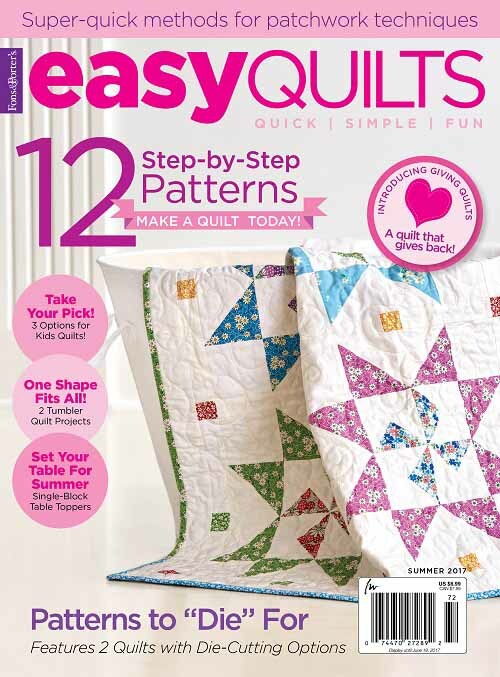 Wendy’s 2 cents: That is a very common challenge faced by quilters. I try to decide what to quilt on my quilts based on the general geometry, the feel, and sometimes believe it or not, the clue is on the fabric prints. Check out my other Thread Talk threads — I have written quite extensively on what to quilt on quilts. I recently taught a class illustrating quilting can be more than stitching in the ditches and cross-hatching on 9-patch blocks. Thanks for stopping by. I hope the thoughts I have shared have empowered you rather than scaring you off concerning machine quilting. It is possible!!! 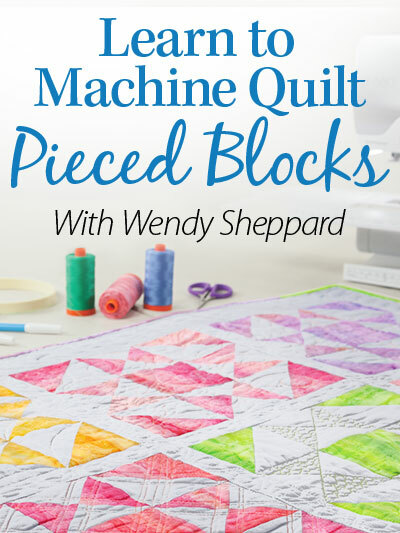 Meanwhile, you still have time to click here and enter the giveaway for a free copy of my online Learn to Machine Quilt class. 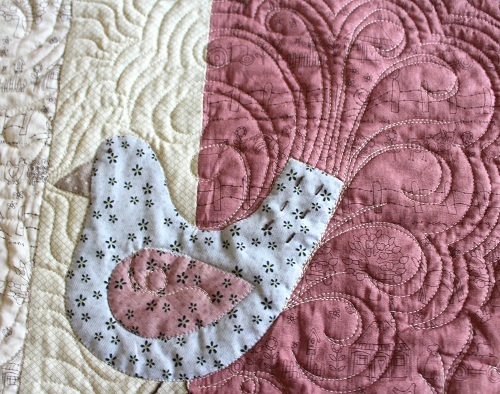 Click here for other past Q&A posts on machine quilting using a domestic machine. 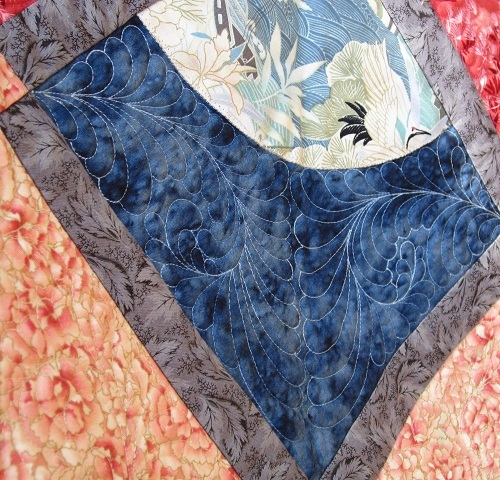 This entry was posted in Quilting, Thread Talk and tagged Domestic Machine Quilting. Bookmark the permalink. 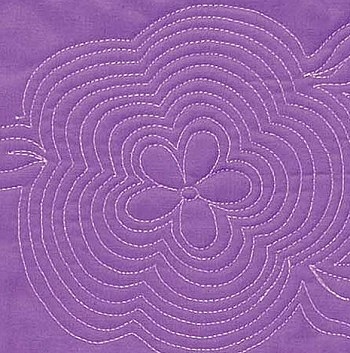 Every time there’s another of these fabulous posts in your series on machine quilting, You inspire me to think I can do it and I am determined to try. Then I look at the sewing machine and want to flee the room at warp speed! But one of these days you are going to get me convinced to try. Your words, I’m sure, encouraged many to take that first step and “break the ice” of fmq. I’m doing a short (3 hr) workshop this month on just-beyond beginner fmq and all that you stated is exactly my direction. I hope to share my excitement for the art and demystify some of the basic techniques that, once practiced, easily adapt to more complex motifs. I so love fmq!!!!!!!! Hugs to you, SSAB…………………. You always give the best advice and are so encouraging, thank you so much. Thanks for great ideas, Wendy. 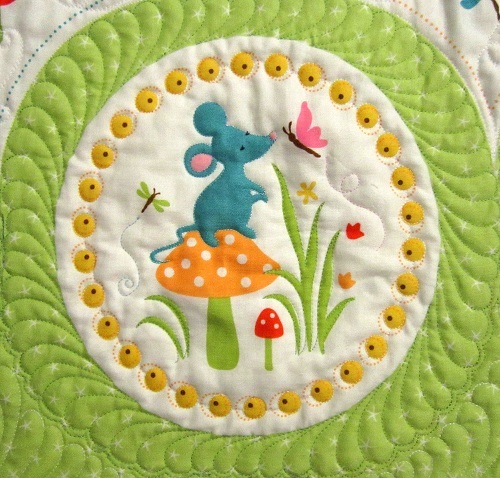 Your quilting is always so lovely, and is what I aspire to. One thing I’ve found that helps me with fmq is doodling and drawing. If I can draw it, I can (eventually) quilt it. It seems to help with spatial relationships as well as muscle memory. And, like anything else in life, practice, practice, practice! Hi Wendy! You give such wonderful advice to the beginners. 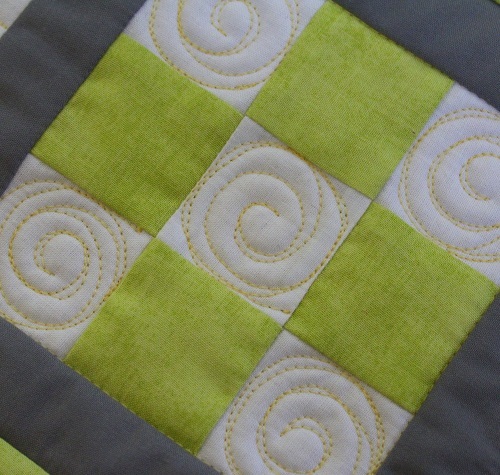 Your quilting is always lovely & inspiring. One tip that I find helpful when I am quilting large quilts is to ‘puddle’ the quilt, create ripples around the area you are currently quilting, this helps with any drag you may experience. This is a great post chock full of wonderful information. Thank you.